Beware! A "Harmless" Ingrown Hair Grew Into 130-pounds Of Tumor! Beware! A “Harmless” Ingrown Hair Grew Into 140-pounds Of Tumor! This is how the story of this curios case began. 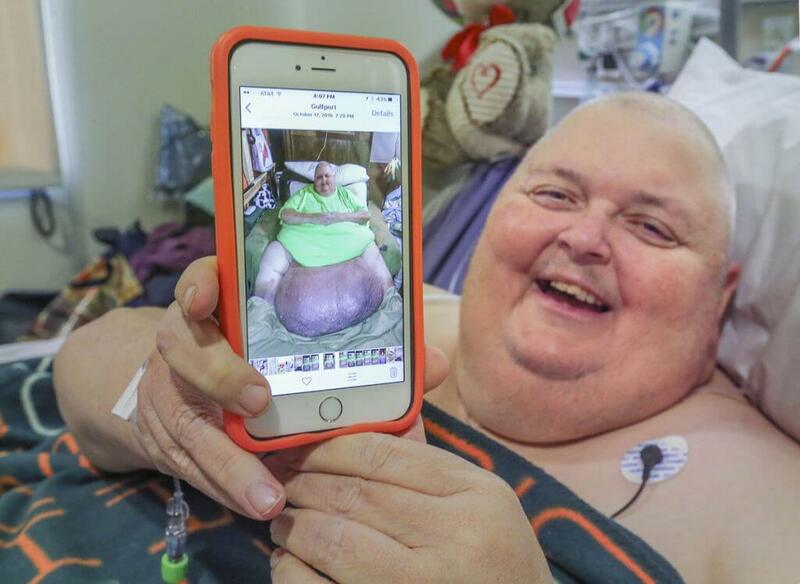 At first, Mr. Roger Logan began to gain weight in the area of his stomach rapidly, this sudden, abnormal thing was happening and he was scared. 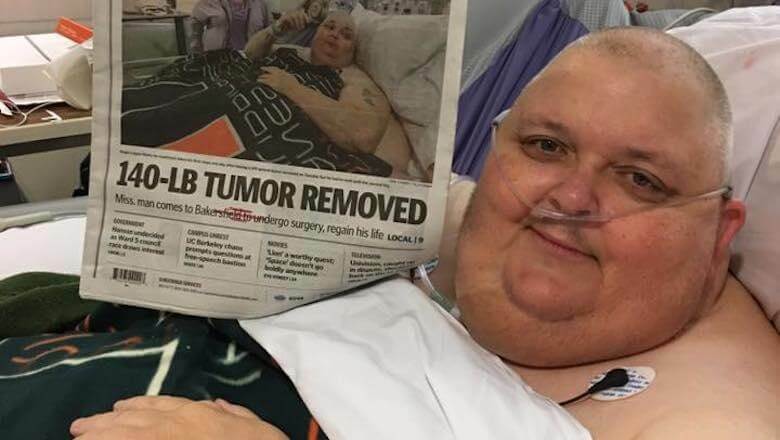 He consulted with numerous doctors and specialists, but they all said that the 57-year-old Mississippi man had nothing wrong with his health except from being fat. Well, it was nothing like that. Reportedly, Logan is in recovery mode after traveling throughout the country to California to have a 140-pound growth taken out of his abdomen. Professionals claim the benign tumor that began to grow about 12 years ago, started as an “innocent” ingrown hair. One that grew pretty deep. It continued to grow until it was massive and had its own blood supply. Logan had spent most of the past five years living in an armchair, unable to run his antique store or go fishing. After false starts and depression, Logan and his wife finally found a specialist in California to perform the surgery. Logan left Mississippi in the back of a cargo van with his armchair bolted to the bottom. Despite being given only a 50% chance, the surgery was an apparent success. And on Thursday, Logan walked for the first time in years. Remember that going to the doctor is no big deal. Never be too lazy or too busy to check out something that feels out of the ordinary since it might save your life! Don’t wait until you can’t handle it anymore, do it now!